Designed for the late 2016 models of the 15.4" MacBook Pro with the Touch Bar, the onyx black matte SmartShell from Speck is a formfitting case with a matte finish that helps protect your system against scratches, punctures, and dents. Rear corner clips can withstand up to 34 lb of force, ideal for preventing breakage. It is ventilated to help with heat dissipation so your system remains cool, and its rubber feet help maintain grip and stability on most surfaces. This two-piece case snaps on and off easily. 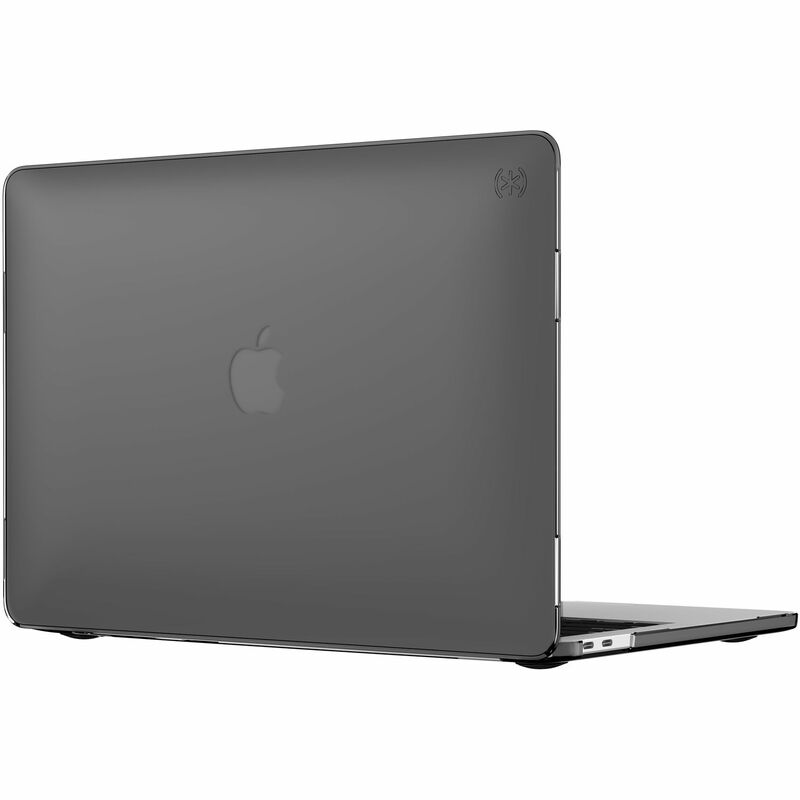 Box Dimensions (LxWxH) 15.5 x 10.7 x 1.5"
SmartShell for 15.4" MacBook Pro (Late 2016-2017, Onyx Black Matte) is rated 3.7 out of 5 by 3. Rated 2 out of 5 by Michael from I would not buy this case again nor recommend it to anyone. Case does not fit new 2017 model macbook pro as stated. Too much room on top part of case, does not fit snugly whatsoever. On top of that, the case is labeled as clear, but in reality it is frosted clear not clear. Rated 5 out of 5 by Israel David from I love these protectors Best to protect your Mac. if you would recommend that there is another option for those who handle the Sanho HyperDrive Thunderbolt 3 USB-C adapter, they will forge the space so you do not touch remove the protector to put the adapter. it would be great. Rated 4 out of 5 by Wylie from Smartshell It is very light and easy to install on the Mac Pro. Delivery as promised. Yes Rosemary but be aware I tried to connect a Sanho hyperdrive and it does not properly fit with the protective shell in place. I was told that if I wanted to use a usb-c adapter I could cut the case where the adapter would sit but not yet comfortable with that idea yet. I bought an Insignia usb-cto usb type A instead.